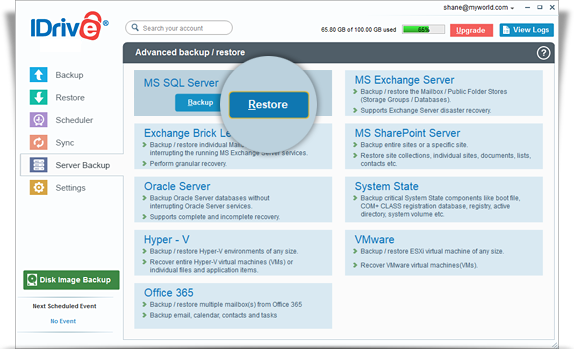 IDrive lets you restore database backup file to a different database and perform point-in-time database recovery. 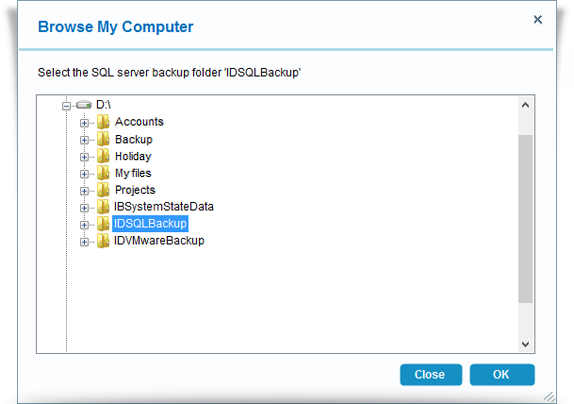 Login to the IDrive application and click the 'Restore' tab. 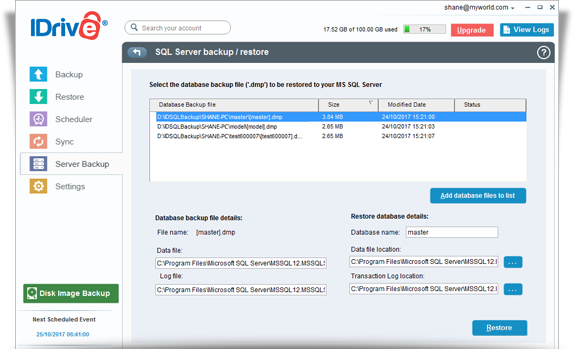 View the steps to backup MS SQL Server.